I treat my work as art. My wedding photography is timeless and much more than just photos on a disc! Great photography, many hours editing, artistic talent and technical skill is required to design a memorable Wedding Book. Through my photography I plan to capture not only the story and nuances of your dream day, but also the feeling, and emotions experienced. I am extremely particular about my reputation for excellence. Only the finest high-end products bear my logo. I entrust Graphistudio in Italy to manufacture our Wedding Books, as they are a world class leader in producing hand-made 'Fine Art' books for professional photographers around the world. A quality Wedding Book will become a treasured family heirloom for generations. 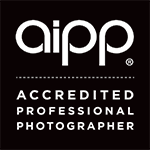 "Best Adelaide Photography Service, and quiet frankly, one of Adelaide's Best Kept Secrets. Their keen eye for detail, professionalism and many years of experience is very much evident in the work they produce. I was blown away/extremely pleased with the finished product they provided and the quick turnaround not to mention a very lovely company to have dealings with. Having worked with a plethora of photographers throughout Australia and as far a field as London and Western Europe, I have an eye for top class talent when I see it. They are that and much much more." "One of THE best decisions made in regard to our daughter's wedding was to engage the services of Robert Monteleone. Robert and his team are extremely friendly yet professional in all areas of their work. We are very happy with the end product. Copies of the DVD have been given to friends and family here and overseas. A great keepsake! Highly recommend them for any occasion."